Not the first time: clearcut on land designated for the Raven Head Protected Area, Sep 29, 2011. It was the second clearcut on these lands, the first some 40 years before. The audio for the story broadcast on Information Morning is available on the CBC page. Following are some extracts from the piece and some comments of my own; the headings are mine. Jim H. who was born in Joggins moved back with his wife ago 14 years when he retired; the area’s natural beauty drew them back. Now they live next door to clearcuts. “The sad thing is, everything has been clearcut, everything… I’ve seen truckloads of wood hauled out, roads damaged, the water tables have changed and we have dirty water, my neighbours have the same up the road.” [You have to listen to the audio to really appreciate the stress it has all caused.] In the last 5 years, clearcutting in the area has been really ramped up, now there are hundreds of acres of clearcut land in the Joggins area. Why were lands designated for a Nature Reserve clearcut? Most mystifying to residents are Nature Reserve signs posted in some of the clearcuts. CBC reporters Moira Donovan and Phlis McGregor investigated and talked to Peter Labour, Director of Protected Areas and Ecosystems within the Nova Scotia Department of Environment. He said these lands are now part of the new 277 ha Fossil Coast Nature Reserve. The land was owned by forestry companies before it was clearcut, and was purchased after it was clearcut. “The nature reserve includes some lands in a more natural condition and other lands that are most recently harvested. That’s not unusual in that when we protect areas, we look at restoration opportunities as well as intact natural values, and in this case a portion was purchased in 2009-10 for conservation purposes and some of that land had been previously harvested by the former landowner.” He told Phlis McGregor it would take the forest 50+ years to grow back to its natural state. She asked him why it wasn’t protected before it was clearcut. He said it’s because the property was privately owned and the province has no jurisdiction over clearcutting on private land. Fossil Coast Nature Reserve. Click on image for full NSE map. There were complaints from local residents that they had not been notified about the Nature Reserve status. One resident comments that clearcutting is ongoing and relentless. Those “dreaded yellow signs” appeared without any consultation with the locals. “I feel it is wrong, first of all because it’s been land that we have used and has been in common use for as long as I can remember and all of a sudden now we have these Prohibited Signs that are appearing.. its nice to reclaim more land for future generations but what you are reclaiming has all been clearcut or a majority.. why wasn’t it proposed and dealt with before it became a clearcut?” This was land that that the community always felt was their’s. First they had to watch as it was clearcut and now they can’t do things on it that they used to do there. Brian H. has lived in the area all of his life and has been fishing, hunting and trapping there for 50 years since he was 13. “On these signs they should have had a meeting in Joggins or River Herbert, not one in Amherst or Parrsboro… I have no access to the beach for my boat, no access to into Donny’s Cove where I leave my boat sometimes, about 70% of my trapping area I can’t use now.” Peter Labour [Protected Areas, Nova Scotia Environment] realizes that not everyone in the community knew about the Nature Reserve but now his department is aware of these concerns and they are looking at some options for addressing them. Just steps away from the Nature Reserve land there is more land that is privately owned land that has no protection from logging… Resident Brian H. had tried to purchase 25 acres of the land before it was clearcut and he said the forestry company said they would not sell before it was clearcut. I am familiar with several aspects of this unfortunate story. First on the issue of access. Just last week, I listened to Shalan Joudry talk about why you cannot separate the people from the land. In contrast to Protected Areas which allow non-motorized recreational activities including hunting and fishing, Nature Reserves are much smaller areas in which recreational activities are restricted: “While entry for the purpose of environmental and nature appreciation is generally permitted, activities such as hunting, fishing, use of vehicles, camping and other activities that might degrade fragile values of a Nature Reserve are not permitted.” (See NSE page). I can see the rationale, but it is also very important to have buy-in from local residents who will formally or informally be local guardians of the lands. That might involve limited ‘grandfathered’ access as occurs in National Parks, or specific agreements with community groups, all of us learning to leave no trace when we tread on such lands. I think the return on an investment in the local people would be at least equivalent to the benefits of including clearcut land in the nature reserve! I am aware of similar concerns about access that were expressed when the Raven Head Protected Area was established, and that these are ongoing. 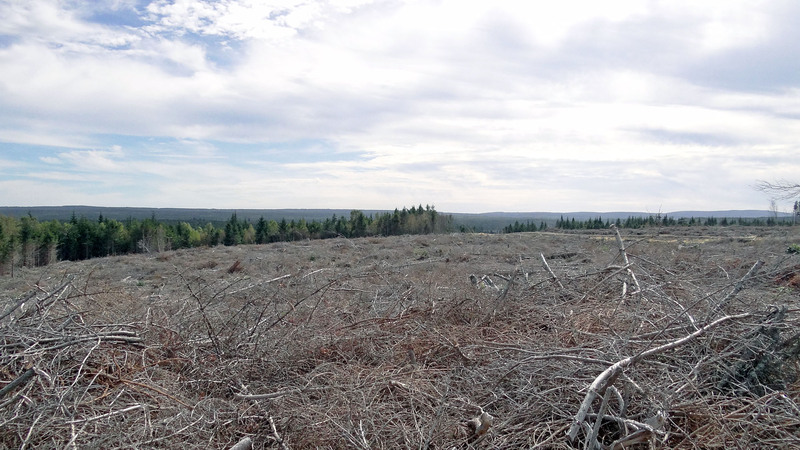 Second on clearcuts in lands newly designated for protection. So we are beholden to the big forestry players in Nova Scotia to supply wood no matter what the cost. 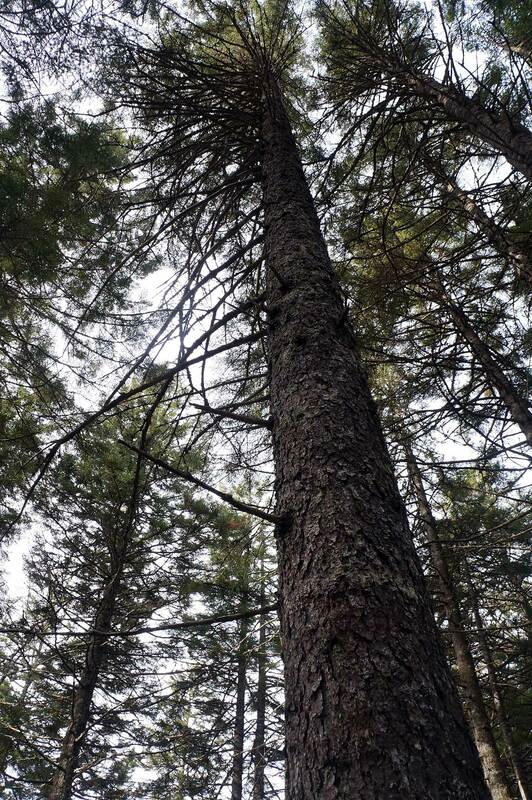 Just as resident Brian H. had tried to purchase 25 acres of the land before it was clearcut and the forestry company said they would not sell before it was clearcut, so the government was apparently told in the case of the Raven Head lands and they accepted it. If nothing else, it shows that the big forestry concerns have no long term commitment to Nova Scotia and that once the easy wood supply is gone, they will be gone. Future governments will then blame past governments for not taking appropriate action. It makes me wonder what is NSDNR’s long term (25 year +) plan for forests and forestry in Nova Scotia? Does it indeed have one? I am reminded of a story I heard at the recent MTRI meeting on old forests. When the Stanfield government held hearings in Cumberland Co. in the early 1960s to promote its plans to clearcut in support of a new pulp mill planned for Pictou, they told woods people, “Now you will be able harvest every 50 years”. The response from one elder forester was “Yes, but you can’t grow a 150 year-old tree in 50 years.” It seems the government people didn’t listen or didn’t understand, possibly both. Do they now? This entry was posted in Biophilia, clearcuts, Conservation, Ecosystem Services, NSDNR. Bookmark the permalink.